Thomas Allen Harris’s new documentary Through a Lens Darkly: Black Photographers and the Emergence of a People is “a family memoir, a tribute to unsung artists and a lyrical, at times heartbroken, meditation on imagery and identity,” according to the New York Times. 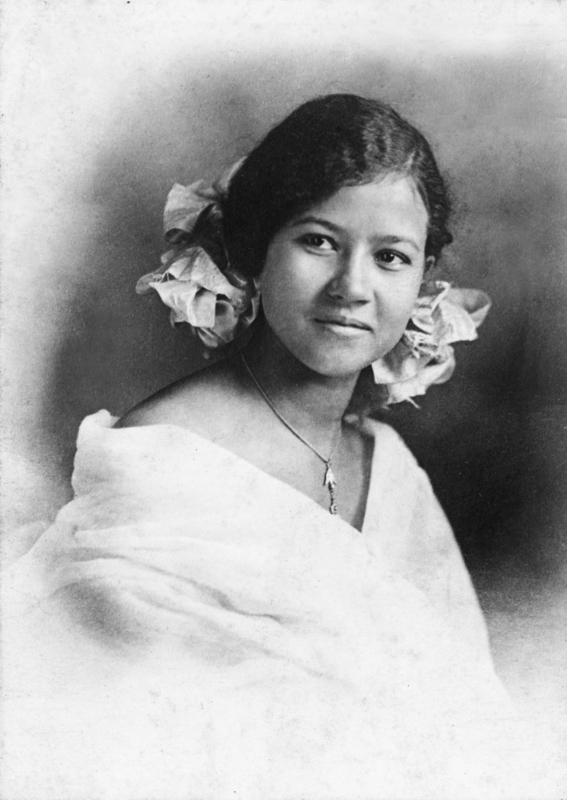 One of the artists featured in the film is Florestine Perrault Collins (1895–1988), who learned photographic techniques while passing for white in New Orleans. She opened her first studio in her home, and later moved her business to New Orleans’s black business district. Her great-niece Arthé Anthony, who is interviewed in Through a Lens Darkly, says, “Florestine is a pioneer because only 101 black women were known to be photographers in the country when she opened her home studio in 1920.” Between 1920 and 1949, Collins documented African American life, capturing images of graduations, communions, and recitals. Florestine Marguerite Perrault as an early adolescent, early 1910s. Arthe Anthony (left), Florestine Collins’s great-niece, and Deborah Willis at the NYC Film Forum. Credit: 1world1family. Collins’s photography can be viewed in Picturing Black New Orleans, a book written by her great-niece Arthé Anthony. Drawing from family records, oral histories, and photographs rescued from New Orleans in the wake of Hurricane Katrina, this book blends Collins’s story with those of the individuals she photographed, documenting profound changes in the lives of Louisiana Creoles and African Americans. Below are some of Collins’s fascinating images that give us a rich look at the cultural landscape of New Orleans nearly a century ago.